A single nib with three distinct line weights. 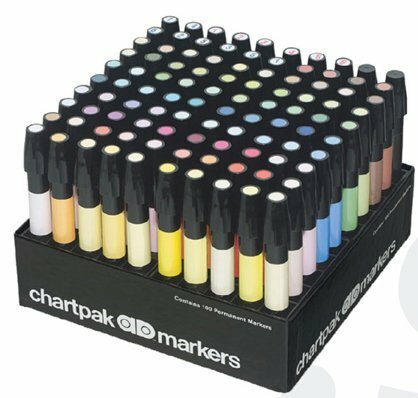 These waterproof, permanent, solvent-based markers deliver brilliant, sparkling color in fine point, medium weight, or broad strokes, with just a shift of the wrist. If you have any questions about this product by Chartpak, contact us by completing and submitting the form below. If you are looking for a specif part number, please include it with your message. Sennelier Artist oil pastel set of 50 in luxury wood box - Best Price on Web!